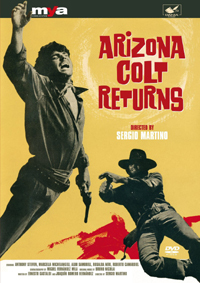 Arizona Colt (Anthony Steffen) is a bounty hunter, but this time there is a bounty on his head for a stagecoach robbery he didn’t commit. He goes to town along with his compadre Double Whiskey (Roberto Camardiel) to clear his name, but instead he’s imprisoned by the sheriff and condemned to be hanged. Behind this there is an old foe of Arizona, Keene (Aldo Sambrell), and he won’t stop until he sees Arizona and his friends dead.